After receiving a Master’s degree in Natural Resource Conservation, Tim has shared his experiences afield through the many newspaper and magazine articles that he has written (credits include, Turkey Call, SPORTS AFIELD, Wildfowl, Turkey & Turkey Hunting, Deer & Deer Hunting, North American Hunter, Peterson’s Hunting, Bowhunter, etc.).. In 2001, Tim’s first book Gobblers I Have Known…The Evolution and Ramblings of a Turkey Hunter was published. Herald has been involved in the outdoor/hunting industry on a professional level since 1996 in varied capacities as a guide, outfitter, hunt consultant, outdoor writer and on-screen television personality. He was the Outdoor Marketing Manager for Under Armour from 2004-2008, and was Director of Marketing for Bad Boy Buggies 2008-2009. He now makes his living as a co-owner and hunt consultant for Worldwide Trophy Adventures (where he specializes in International and Adventure trips) as well as in outdoor television, writing and promotion. 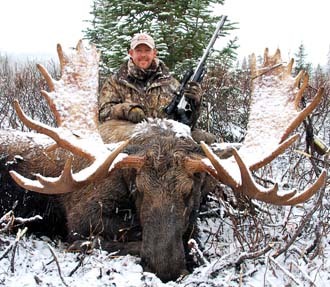 He has worked as a paid brand ambassador for many top outdoor companies such as Cabela’s, Nikon, Winchester, etc. Tim has conducted seminars throughout the U.S. and has also been featured in many major outdoor publications, television and radio shows, hunting videos, as well as ads, catalogs and commercials for various outdoor companies. Along with frequent guest appearances on television programs such as Realtree Roadtrips, Mossy Oak’s Hunting the Country, Knight and Hale’s Ultimate Hunting, North American Hunter, etc., Herald joined the staff of the Hunters Journal Television Show on the Outdoor Channel in 2003. Tim has been on the panel of Tim was on the panel of 2006-2011 pros for Whitetail Country, Pro Hunter Journal and Hunt Masters (on ESPN2), and co-hosted LimbSaver Outdoors in 2007 on the Men’s Channel. In 2008 and 2009 Tim hosted Outdoor America on the Outdoor Channel. 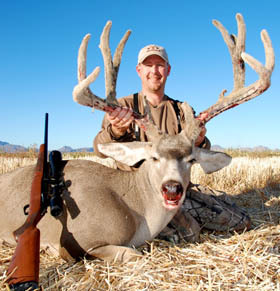 He worked with Magnum Global Media as host of both THE ZONE (Sportsman Channel) and Nosler’s Magnum TV (Outdoor Channel), while continuing on the teams of Whitetail Country (VS) and Hunt Masters (OC) 2009-20015. In 2016-2018 Tim Hosted Cabela’s Instinct with Mark Peterson on Sportsman Channel, and currently does a few shows each year for The World of Sports Afield TV and Tracks Across Africa, both produced by Safari Classics.